Learn about the wrath of hurricane Hugo, which struck the South Carolina coast as a Category 4 hurricane moving through South Carolina and North Carolina. 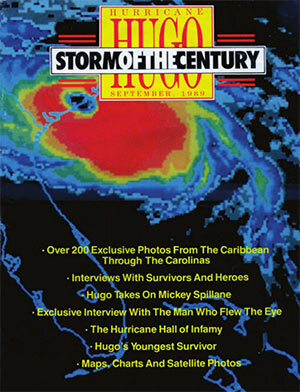 Read compelling stories of survivors as well as the life of this violent storm from September 11 to September 23, 1989. Copyright © 2019 HurricaneMagazines.com. A Media Services website.